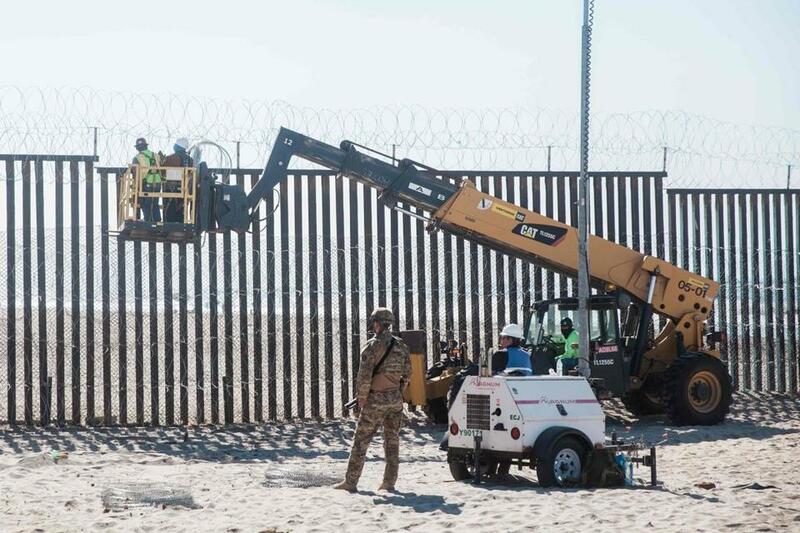 A US Border Patrol officer watches as crew workers add more concertina wire to reinforce the border fence at Friendship Park, San Diego, on Nov. 16. The Trump administration’s drive to reduce immigration isn’t letting up. 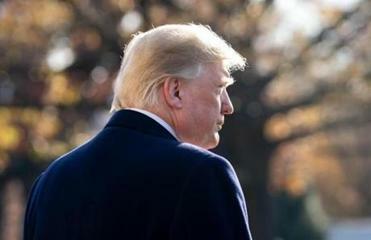 Its latest vehicle: proposed regulations enlarging federal authority to reject applications for citizenship, green cards, or visa renewals by immigrants who cannot support themselves without turning to welfare. On the surface, the new rules simply enforce a requirement that has been part of US immigration law for more than 135 years. The Immigration Act of 1882 barred from entry into the United States “any person unable to take care of himself or herself without becoming a public charge.” But welfare wasn’t the temptation in 1882 that it has become today. It’s reasonable to expect immigrants to be able to support themselves without relying for their daily bread on taxpayer subsidies. That expectation was easily enforced before the rise of the modern welfare state, which provides access to a wide array of welfare benefits: cash assistance, food stamps, Medicaid, public housing, Medicare drug subsidies, and more. It may not be true that immigrants come to the United States in order to go on welfare, but it is undeniably the case that many immigrants, once here, have ended up collecting welfare of one kind or another. Federal law, in other words, pulls in opposite directions. On the one hand, it bars immigrants deemed likely to become dependent on welfare. On the other hand, it allows legal immigrants to collect most kinds of welfare once they have been in the country for five years. The Trump administration’s “public charge” rule is chilling and cruel, and letters from Massachusetts officials show how the policy would hurt immigrants. Under the law’s vague standard — would-be immigrants are inadmissible if they are “likely” to become a public charge — the executive branch has enormous discretion to deny legal status to foreigners it determines will be a burden on the taxpayers. Existing guidelines, drafted during the Clinton administration, define “public charge” as anyone primarily dependent on cash welfare. But the guidelines exempt all non-cash benefits, such as food stamps, Medicaid, and Section 8 vouchers. The Trump administration and its supporters contend that that ignores most forms of welfare, including the kinds of benefits immigrants tend to collect. Trump’s proposal goes to the other extreme. It would deny visas and green cards not only to foreigners primarily dependent on welfare, but also to foreigners barely dependent on public benefits — as little as $2.50 per person daily for a family of four, according to the Cato Institute. Moreover, it would authorize consular officials to rely on numerous nonfinancial “negative factors” in rejecting an applicant on likely public-charge grounds. Anything from having a large family to being older than 61 could be invoked as evidence that an applicant should be rejected. Plainly the Trump administration is motivated less by the desire to curtail welfare dependence than to curtail immigration. It can only do so, however, because of the statutory incongruity that allows immigrants to collect welfare while barring immigrants from becoming a public charge. It would make far more sense for Congress to bar noncitizen immigrants from welfare entirely, and thereby silence once and for all those who rail about immigrants leeching off the state. That’s the objective of a bill introduced by Representative Glenn Grothman of Wisconsin, under which only citizens would be eligible for means-tested welfare benefits. If such a law were enacted, legal immigrants could enter the country without having to prove that they wouldn’t become public charges, because immigrants would no longer have access to welfare-state largesse. Only by becoming a naturalized citizen could any immigrant collect a dime of welfare. Grothman’s legislation would amount to walling off the welfare state so more immigrants could be admitted, to quote Reason magazine’s Shikha Dalmia — as opposed to walling off the country to keep more immigrants out, which is the purpose of Trump’s proposed new rule. America needs more self-reliant immigrants and America needs less welfare addiction. This, not Trump’s toxic proposal, is the path to both.